Since 1980, Bowman Masonry & Waterproofing has been the trusted expert for basement waterproofing and basement repair in Altoona and Greater Clearfield. 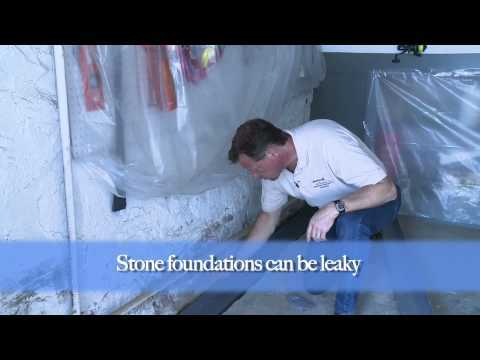 We have the proven products and expertise to fix small leaks, repair cracks where water is coming in and install a waterproofing system to help keep your basement dry. If your basement is always damp or you get water in your basement when it rains, we have a solution. 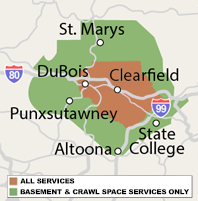 We proudly serve homeowners throughout Pennsylvania. Call us or click below to request a no-obligation inspection and free estimate. If you have a problem that requires immediate help, or you have questions about our products or services, we're available 24/7 to answer your call! Do you have unfinished concrete basement walls like this? Then you probably know how cold, damp and ugly they are. We offer solutions, like our BrightWall Paneling system, that are 100% waterproof, will never rot or discolor and can instantly brighten your basement! 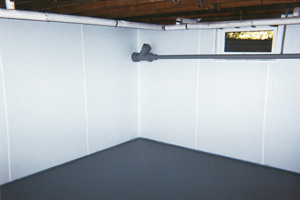 Our complete basement waterproofing system includes all the solutions you need for a dry, comfortable, odor-free basement; no matter what’s causing your issues. We provide professional installation for a broad range of products, including French drains as well as sump pump systems and more - all customized for your home. Water can easily begin leaking into a basement through any opening it can, including your walls, floors, and the joints between them. Water can even pass through the concrete itself! 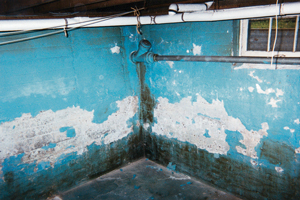 These are the reasons basements become known as damp, moldy, musty spaces. Bowman Masonry & Waterproofing offers solutions to help transform your basement into a dry, usable space that can be finished or used for storage. We provide free inspections and estimates in Altoona, State College, Bellefonte, Du Bois, Saint Marys and surrounding towns and cities. Contact us today to get started on your basement waterproofing project!